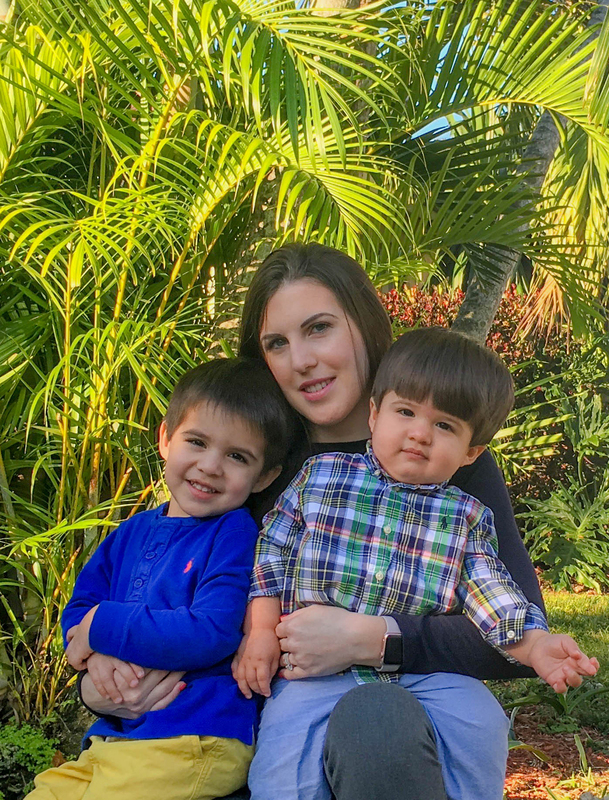 Laura left her steady job to found her marketing company at the age of 27, while seven months pregnant. She knew there was a better way to run an agency; and with clients all over the nation, it's clear her intuition was right. Laura left her steady job to found her marketing company at the age of 27, while seven months pregnant. She knew there was a better way to run an agency; and with clients all over the nation, it's clear her intuition was right. Now with two sons and two stepdaughters, Laura says her journey has only begun. How did your business/career/lifestyle come into being and how did you know it was the one to run with? The reality is that I saw a need for a different type of agency, and ran with it. I am blessed that my husband supported my decision to leave a well paying job and allowed me to put our savings on the line. Luckily, we have done well and thus far have been able to fund ourselves through our own work. How has having a child(ren) transformed your lifestyle? In all of my to-dos exercise seems to be the one that always falls by the wayside. It has also made me incapable of having a conversation on any of the shows on TV. I don't have time to watch tv, though I must confess, I do manage to find time to read. Some things are impossible to give up. Having children has also made me much more organized and patient, both traits which I think have made me a much better leader. I give myself 30 minutes each morning, but I pick my outfits the night before. I aim to have pieces that go well together and can be mixed and matched. Whatever I don't need, I get rid of -- no sense in keeping things I know I will no longer wear. I make my hair last as long as possible by putting baby powder in it, and shave and pluck my eyebrows every day so it doesn't pile up. If I skip a day, it takes me much longer than when maintaining. I also keep my makeup simple. I take out all my tools, go through a very specific process and then put everything away. As for jewelry, I only have a few matching sets and thus I rotate them. My drive to get things done powers me through it all. What is your spirit animal or dream super power? Easy. The ability to be in two places at once. I'd love to be home with my family and at work at all hours. I love them both! What is your favorite thing to do with your children? Travel. We love to visit aquariums, it's kind of our thing. On a nightly basis though, I enjoy playing board games with them. I'd dance! I love dancing ballet. It's great exercise and also incredibly fun. I'd also go on more date nights. I don't. I don't think you can. I think you just do it. Some days are harder than others. Some mornings I get to spend more time with my kids, sometimes I have plenty of time in the evenings. Some nights, like tonight, I work while listening to the serene sound of my husband snoring and other nights we enjoy each other's company. I just go with it. I know that things will always work themselves out. Read. If you can't tell, I love reading. Sometimes, I also do crosswords. What time do you get up and go to bed on a typical day? Typically, I am up at 7 a.m. and asleep by 12 a.m.
Sandwiches. Ever since I was pregnant, I love sandwiches for breakfast. My husband sends them to me, and I eat at work. Coffee, tea, wine, tequila, or other (please specify)? Mountain Dew. Though I don't drink soda every day, when I have had a particularly stressful day, Mountain Dew can accomplish wonders. If you ever see me with a soda can at hand, you know it's been a rough day. What is something that you struggle with fitting in to your lifestyle and how do you deal with it? i.e. Do you make time for ALL of your yearly medical maintenance check-ups and dental cleanings? Or are you running on a 3 year old contact prescription and can't even find time to floss let alone go to the dentist? I don't go to my yearly check-ups -- does taking the kids to theirs count? I probably go every two-years. I hate the dentist so that answers that. My eyes are critical so I never miss my eye appointments. I don't floss daily. As mentioned before, I have cut down the amount of times I wash my hair. Luckily, I have extremely manageable hair. All in all, what I struggle the most with is exercise. When I did not own a company and before I had my second child, I went to the gym regularly, and even had a trainer. Never, and I mean never, feel guilty! The majority of us spend more time with our kids, really focused on them, than generations before. It is absolutely and utterly okay to not make the choice between work or family. Think of the moms that spent countless hours hand washing all of their laundry, or cooking. We have it made. From Sheryl Sandberg to Marissa Mayer, women are not sacrificing themselves for their kids like they used to. Why? If you ask me, a confident and happy woman makes a better mother and role model. And whatever it takes to get her feeling that way should be done. But as a mother myself, I know how hard it is to maintain a sense of style, run a successful business and to feel like an okay parent all at the same time. Women who are flawlessly manifesting this enchanting trifecta are the new wonder women of our times and they are my idols. So I got to wondering how they actually do it all and have it all. Is it really possible? Are they hiding something? Do they secretly never floss? I hope to answer these questions and to give the rest of us moms motivation to stay true to ourselves, stop being so hard on ourselves, live fulfilling lives and love our families as much as ever through interviews with moms who are already doing it. These are the Wonder Moms.